With no releases I was planning to pick up in August, it was a good time to catch up on JRPGs I’d put aside to play newer releases, at least for the most part, as I only ended up with a bit of gaming time as I tried to get ahead on other things, like posts and recordings for videos. I did finally get back to both games I’ve been playing since January, Persona 2 and Kingdom Hearts, to try get them finished by the end of the year and I also dabbled in a few mobile and console expansions that piked my interest. And of course, I couldn’t help getting back into my favourite JRPG of this year *cough* Persona 5 *cough* so far. Although it was a relaxed August, I did manage to play a few things, so here are all the JRPGs I played in August. I tried my best to choose another game for JRPG of the month as I know I’ve put Persona 5 in this spot a few times already. However, anything else I put here felt like I was lying to myself, as I really did enjoy Persona 5 most this month. I give myself a day each week to not worry about what I’m working on and just play whatever and almost every week, I wanted play Persona 5 and was very excited to do it. I’m around the fourth dungeon again trying to tie up loose ends and social links and it’s such an enjoyable game to take my time slowly ranking up my characters and social links with. This month I also remembered that at the start of the year part of my JRPG New Years Resolutions was to complete Persona 5 in English and Japanese for study and well, I hadn’t touched my Japanese save for months. But I started a new save and got back into my Japanese copy of Persona 5 on PS3. I think I’m still only in the first in-game week but I’m already seven hours in and am enjoying hearing the Japanese voice cast and trying to learn new Japanese words through one of my favourite games. One of the things I've had in my JRPG calendar for awhile has been SINoALICE’s NieR Automata collaboration, one that promised two Yoko Taro universes to meet and meld in an interesting way. 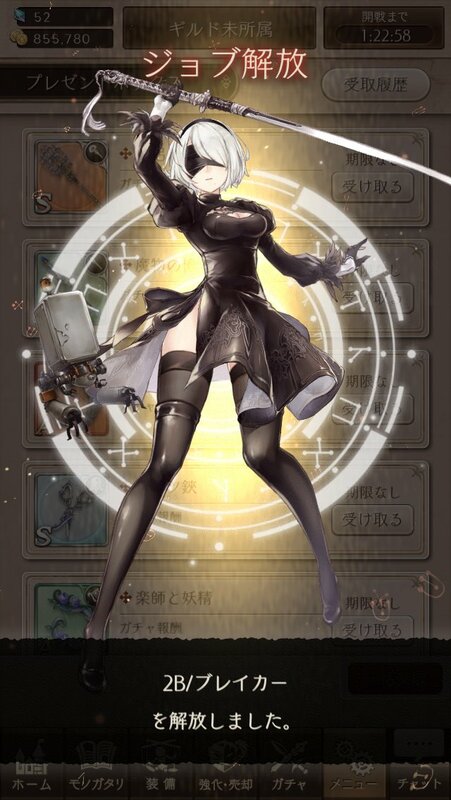 Although it’s hard for me to understand because it's in Japanese, the Automata event featured a bunch of story told by 2B in SINoALICE’s short dynamic mini-monologues, along with beautifully drawn versions of the main NieR cast and some iconic enemies from the console game that made it pretty cool as a fan of both series. If SINoALICE is ever localised, may this enjoyable event come along in it. On the third day of this month, I finally finished my one month plus stint at God Wars: Future Past and if I'm being totally honest, I was pretty glad to be done with it. I didn't hate God Wars by any means, but its last chapter was very frustrating with its difficulty spike and I definitely spent a few days just trying to get through the last boss. 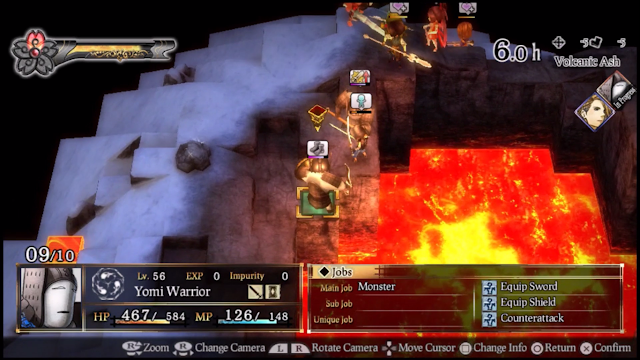 I look back at God Wars a bit more fondly now I’ve finished it, as I do think it has improved the way I play games because I had to think out of the box a lot. It probably won’t be seeing any time on my Vita again for a bit, but it was definitely a kind of challenge I haven’t had for a while. 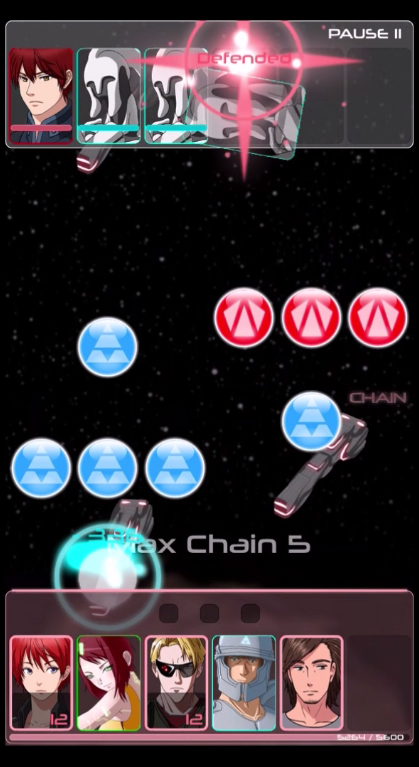 I’ve been meaning to get back into Phobos Children for a bit since I have a much better situation for playing Japanese iOS games now and I did finish the first episode of it and found the gameplay to be really quick with its popping bubble fun. I’m gonna do a small post about this sometime, but the touch battle system is perfect to crank out in a few minutes on the go. 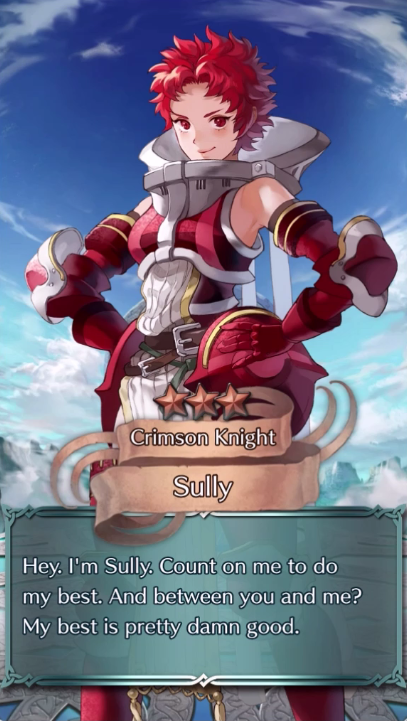 Although there were no bikini girls to almost get me in trouble at work, I've been really enjoying Fire Emblem Heroes recent generosity in giving heroes to all who play. Since they're giving a free hero for each new character set, I've been doing all of them and while I didn't get any 5-star units, I got a few good 4-star ones I was happy about. Apart from unit collecting, I didn't actually play Fire Emblem Heroes much this month other than some Auto-Battle at work, but the unit collection has been a good reminder that this exists and it’s good. Persona 2 was my portable game mission for the month and although I didn't make as much progress as I would’ve liked, I am on my way to what I think is the next dungeon at the moment. I had an exciting moment with it on the last day of August as I summoned my first few Personas, something I surprisingly hadn't done in 20 hours playing it. 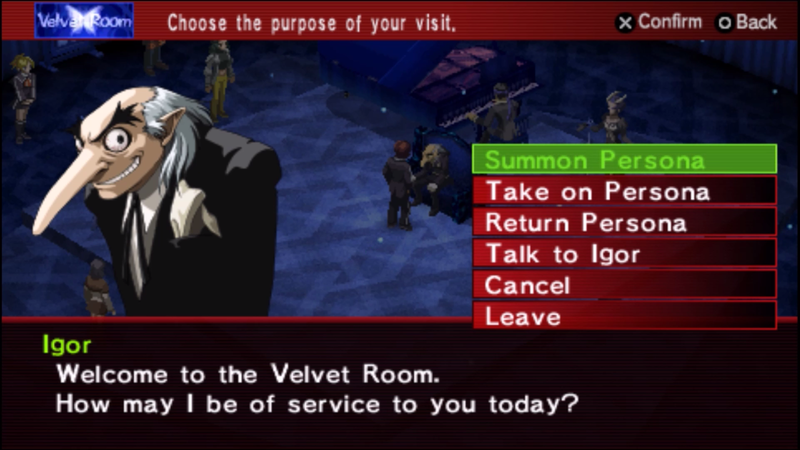 I'm interested to see how playing it will feel with more Persona power on my team and I'm ready to solve its next riddle and get on with the story. 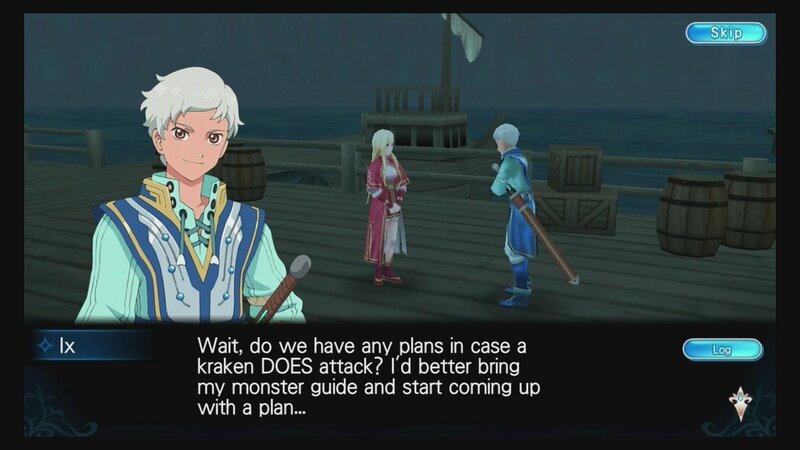 Tales of the Rays was a game I tried back in June briefly and I’m pleased to be back on it more, making it my current smartphone JRPG focus. I like the combat just as much as I remembered and it’s great being able to actually understand the story. I understand the story language wise, although I don’t know the old Tales characters that pop up in the story at all, so to me characters like Yuri from Tales of Vesperia feel like all new characters, which is cool in a way. I’m hoping that like Fire Emblem Heroes that the characters I grow to like point me in the direction of good Tales games to try, because I really need an education in that series. So far, I’m enjoying Tales of the Rays with its swipe battles and mini maps a lot and I hope it keeps the fun going as I keep playing. 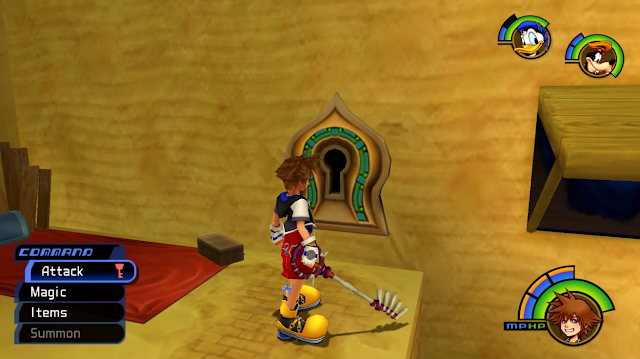 I didn’t play Kingdom Hearts as much as I would’ve liked to this month, but I closed the keyhole in one world and am on my way to the next (hint: I’m pretty much inside a whale). I think I’m where I remembered the plot started to pick up and this is exciting for two reasons: 1) I’m on the way to the first ending that made me cry like a baby when I was around 12. 2) I can finally play the other two experiences on 1.5 that are new to me. Kingdom Hearts has aged very well, so it’s still fun to play and I hope I get more time with it in September. 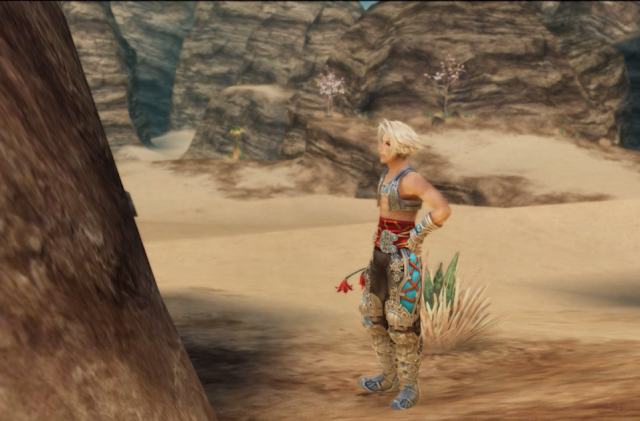 Since I didn’t finish Kingdom Hearts this month, I wasn’t supposed to play Final Fantasy XII, but I couldn’t resist jumping in for a couple of hours as it stares at me everyday on my desk. Final Fantasy XII gives me nostalgia in the best way and the world is as interesting and as cool as I remember it, but smoother and prettier. I’m barely into it (I haven’t even met Balthier yet! ), so I’m being careful to put it down and play it when I have the time. Final Fantasy XII has been one of those games I’ve stopped and started at multiple points in my life because life happens, so I really want to dedicate the time to this fun game when I finally can. I didn't play the main Final Fantasy XV game this month, but I had to give Comrades at least a little try when it was released and luckily I finished God Wars just in time to do it. Comrades’ initial quests were pretty fun and reminded me a little of the fun I had in Final Fantasy XIV a few years ago questing with others, but this time with gameplay that's more familiar to me. 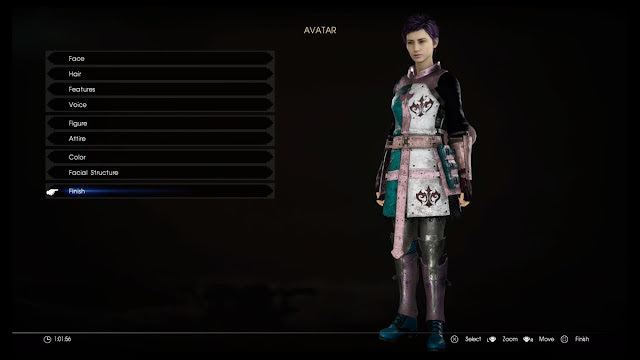 The character creation was really detailed and the whole experience could be good if they add a decent amount of story quests. I know I just did a post about Final Fantasy XV Universe and how there’s a lot in it, but with Comrades I do like how this could fill in one of the gaps in the story, so I’ll probably be curious enough to try it later down the line. 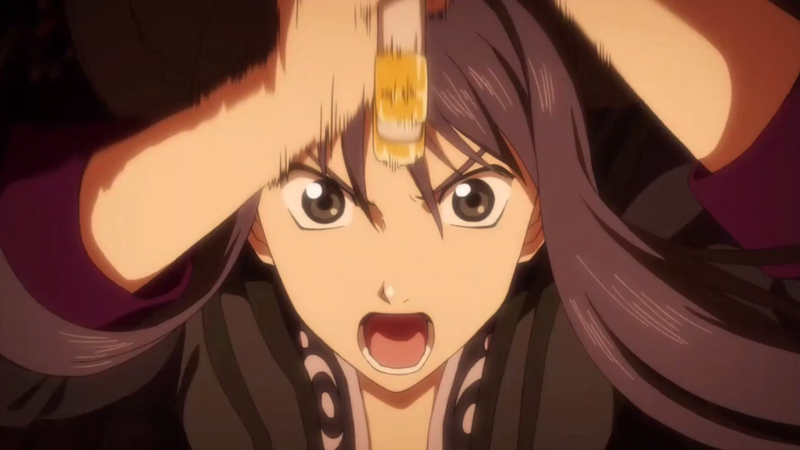 While September isn’t as empty for new JRPGs as August was, it’s not far off for me until the end of the month. So, I’ll be sticking to Kingdom Hearts, Persona 2 and Tales of the Rays until then, although I did download the English YS VIII demo that I’m curious about trying it, so we’ll see where my time takes me. Also time is ticking down until the end of the year, meaning I should really get to trying to finish Persona 5 in Japanese. 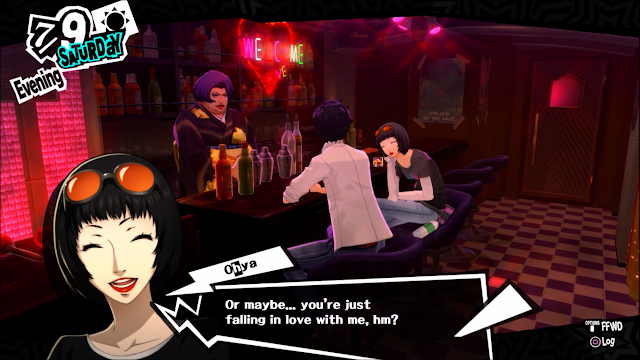 I am realistic and know I probably won’t hit that goal, but I’ll take any excuse to play Persona 5, especially in my Japanese study time! What I’m most excited for are the new JRPGs releases I plan to pick up at the end of the month. One is Blue Reflection, a really unique JRPG that I’ve heard about and seen good things about from the Japanese version that is by Gust, who I’ve been interested in as a developer since I played and loved Ar nosurge a few years ago. Also being released in late September is Danganronpa V3. I know it’s not a JRPG, however it will be featuring a JRPG dungeon crawling minigame in one of the end game modes, which as a fan of the series and JRPGs is a really good excuse to buy it, play it and at least talk about that part of it here if it’s good. 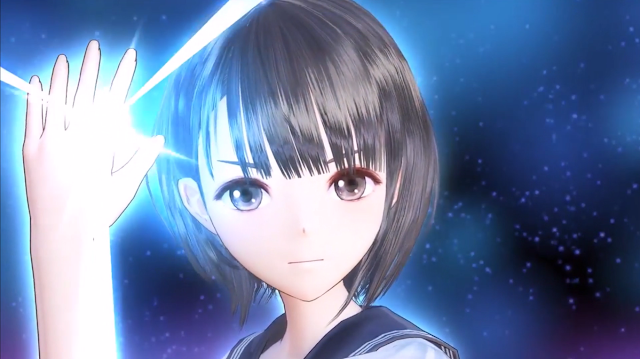 Blue Reflection will probably be my biggest focus though, as there are some JRPGs releasing in early October that I’m interested in. Since August was so long without any new releases coming, I feel like I’ve been waiting for Blue Reflection for a while and I’m already excited for the end of September to get here. What JRPGs did you play in August? What will you play in September?